JOLLY straight-edge profile applied to the tile edges of the bathtub platform. 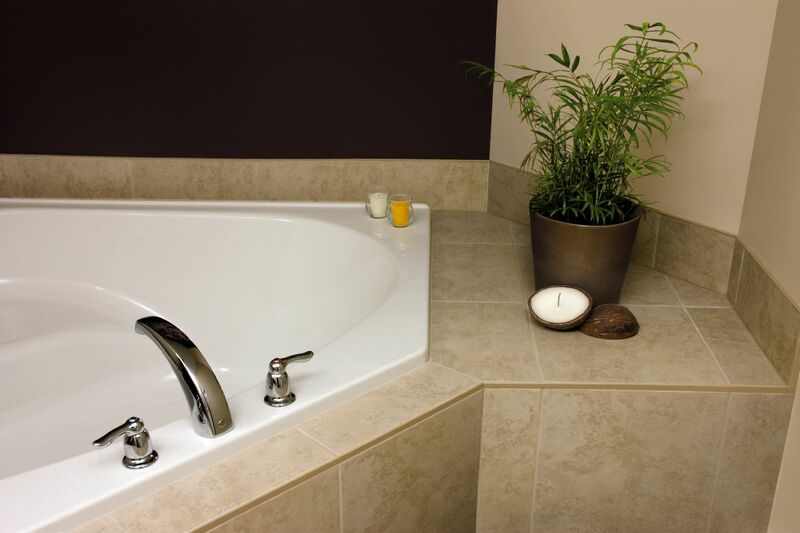 Light beige profiles create a subtle finish by blending with the neutral tiles in this contemporary bathroom. 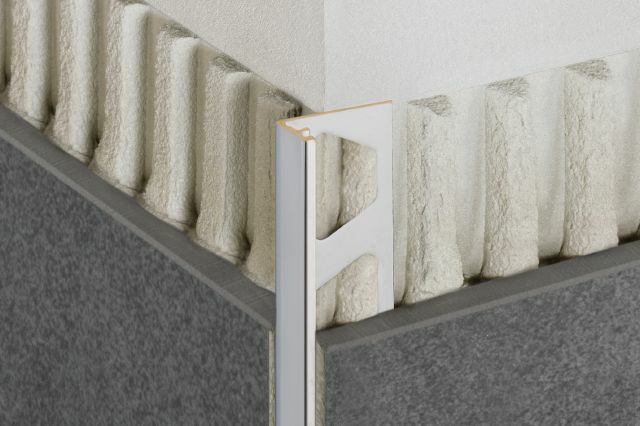 JOLLY straight-edge profile applied to the tile edges of the bathtub platform and tile base. 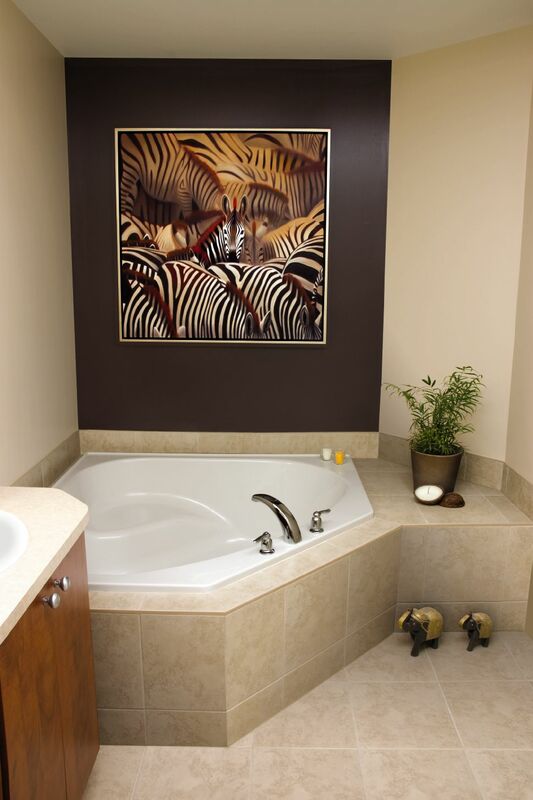 KERDI-BOARD is used to create this customized tub deck. 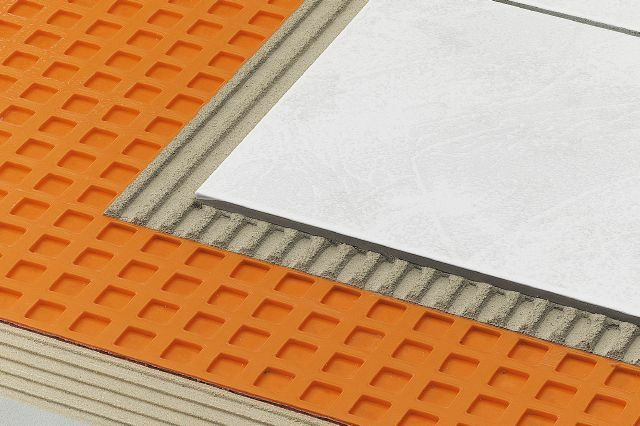 DITRA is ideal for providing uncoupling and waterproofing under the tile floor. 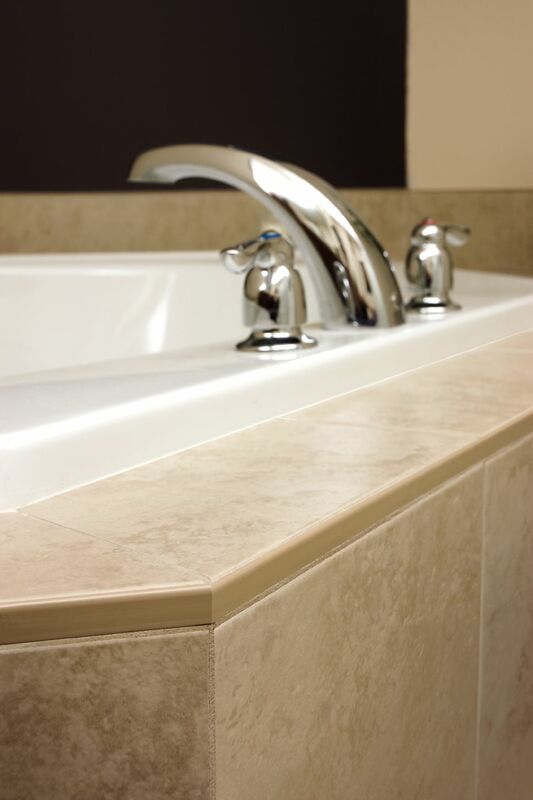 JOLLY straight-edge profile applied to the tile edges of the bathtub platform and tile base.